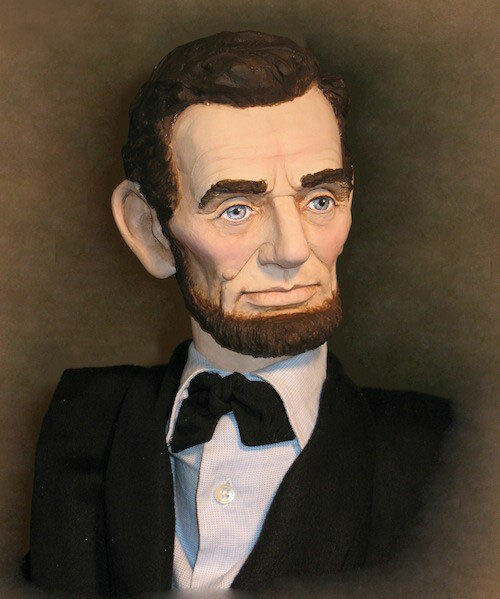 Abraham Lincoln the 16th. President of the United States. Beautifully carved in Maple wood and handpainted with exquisite detail. 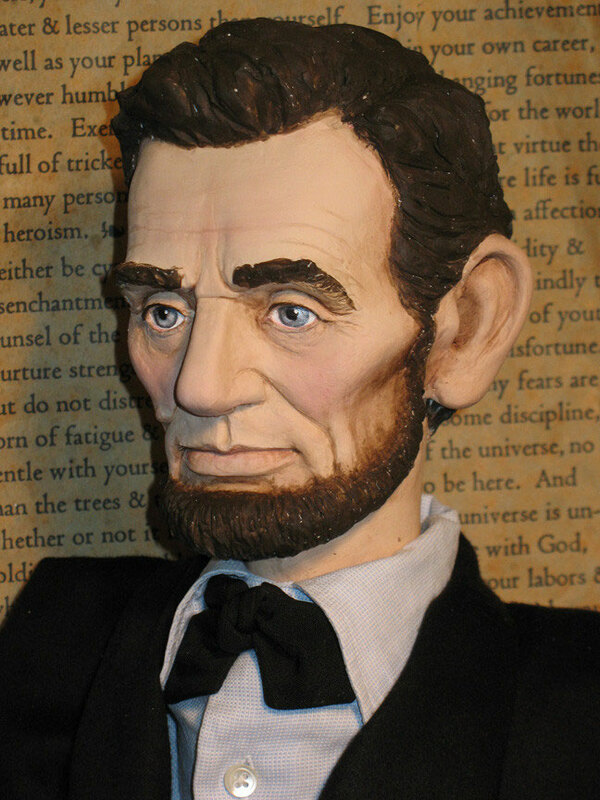 Lincoln stands 24" tall. He is dressed in soft wool and lines. He looks wonderful sitting on a desk or standing beside a small podium. We offer a flexible, personally tailored layaway plan.